A Family Restaurant. Built Strong. Three Generations. From her mother's passion to her own, KT, creator of Simply Vietnamese, brings a modern take on Vietnamese cuisine for her clientele. 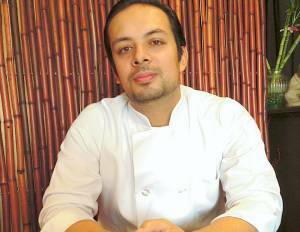 Joseph Diovisalvo, son of KT, runs the daily operations and is head chef of Simply Vietnamese. The owner is Khanh Tran, better known as K. T., and Simply Vietnamese, which opened in September, is the latest in a series of five restaurants she has run in northern New Jersey since 1996. “Lots of people have been following me around for the last 15 years,” she said in a telephone interview. Maybe longer. She moved in 1967 to New York, where her father was then secretary to the South Vietnamese ambassador at the United Nations. In 1974, her parents opened a Vietnamese restaurant in Queens, and she followed suit 10 years later with her first one, Cuisine de Saigon, in Greenwich Village. Since then, she has been cooking in New Jersey, most recently at Mo Pho in Fort Lee, which she recently closed to focus on her current place. She has long been hamstrung by small kitchens, she says, but having just taken over the building next door, she now has 60 seats instead of 40, more room for catering and takeout, and a bigger kitchen with a deep-fat fryer. “More pork, more dumplings, more specials,” she promises. Joe Diovisalvo, the 32-year-old son of the restaurant's owner, KT Tran, is the man responsible for the food that is served in the 60-seat dining room. And don't be fooled, Simply Vietnamese serves much more than traditional fare.